"Charlotte-based Revolve Residential is planning to start construction soon on a new townhouse development in South End called Domain Townhomes. The 20 new townhouses are planned on Dunavant Street, north of Remount Road. Preliminary construction and site work are set to start in late September, with vertical construction starting in late 2017 or early 2018, with move-ins by late 2018. Prices start at $274,900. 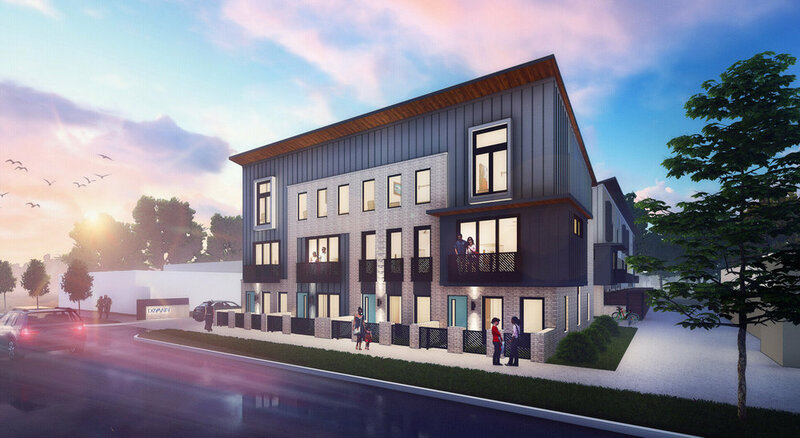 The “industrial chic,” 1,200 square-foot townhouses will include two bedrooms, 1.5 bathrooms, and one-car garages..."